In 1976, President Gerald R. Ford officially recognized February as Black History Month, asking all Americans “to honor the too-often neglected accomplishments of black Americans in every area of endeavor throughout our history.” In these conflicted times, Black History Month’s underlying message of recognition and respect feels even more important than ever to affirm. To join in the celebration, we’re showcasing five Focus films that pay homage to the African American—and in one case African—experience. 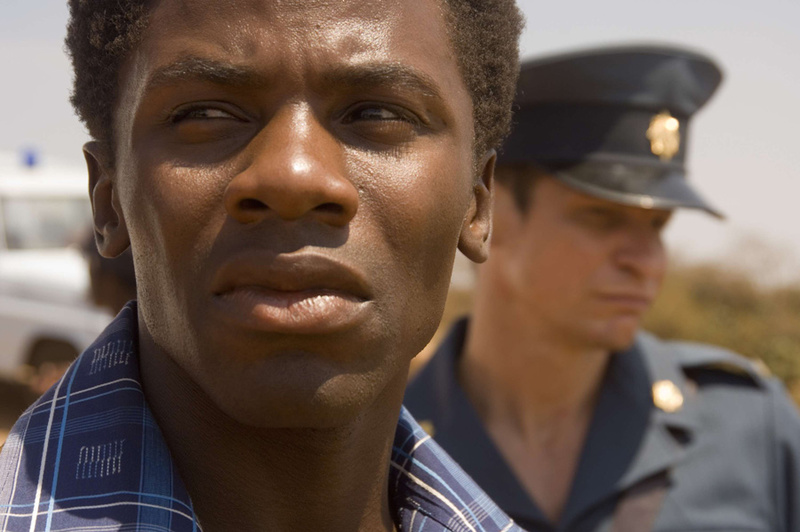 Whether dramatizing transformative historical events or intimate personal stories, these movies share a common bond: to honor the struggles of people who fought for equal rights and human dignity. The name of Richard and Mildred Loving—memorialized on the 1967 Supreme Court case, Loving v. Virginia, that struck down laws prohibiting interracial marriage—is a touchstone of the Civil Rights Movement. Jeff Nichols’ film Loving, however, looks beyond the law to find the people—Richard (Joel Edgerton) and Mildred (Ruth Negga in an Oscar-nominated performance)—whose simple desire to love each other and raise their family changed history. “Before it's a story about racial equality or marriage equality—which it is—it's a love story,” explains Nichols. Get Loving now on iTunes or at Amazon. Stephan James is Jesse Owens in Race. Get Race now on iTunes or at Amazon. Get Pariah now on iTunes or at Amazon. In Talk to Me, Don Cheadle plays Petey Greene, a Washington D.C. radio personality who bore witness to history in his own outrageous way for nearly two decades. In 1968, Greene made history himself. Time Magazine explains, “in the aftermath of Martin Luther King's assassination, Petey took to the air and, in a marathon broadcast, helped calm the city.” For Salon, Talk to Me “perfectly captures the vibe of a person, a place, a time and a way of being, and even gets, indirectly and without a whiff of sanctimoniousness, to the heart of what being an American ought to mean." Get Talk to Me on iTunes or at Amazon. Get Catch a Fire at Amazon. Premiere of director Stephen Hopkins' Jesse Owens bio pic. TIME's Great Performances: Christopher Plummer, Adepero Oduye and More.